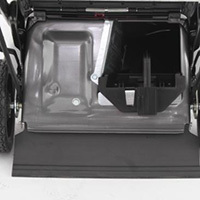 Built with the serious contractor in mind, the Honda HRC216PDU lawnmowerincorporates plenty of features and benefits that commercial operators are after, and none of the unnecessary cosmetic ‘extras’ that some competitors offer. 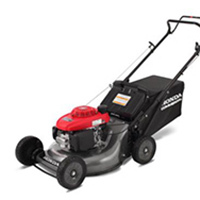 Powered by Honda’s impressive Four-Stroke GSV160 commercial engine; the lightest engine in its class. Features include a cast iron cylinder sleeve, two-stage air filter, ball bearing supported crankshaft, electronic ignition and mechanical governor. One feature that’s impossible to miss is the whopping great big 88-litre catcher bag. 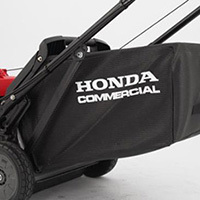 Quite possibly the biggest push mower bag that Honda’s ever offered in Australia, at that size you’ll dramatically cut down (no pun intended) the amount of stops you’ll make to empty the catcher.